If you’re like us and live in Utah, you’re probably anticipating a long and hot summer. And what’s a hot summer without a delicious backyard BBQ cookout? It’s not just an American tradition, it’s pretty much a necessity in order to break up the endless heat wave Utah typically gets. If you’re looking to spice up your summer BBQ this year, boy do we have some ideas for you. We’ll tell you how to set up your BBQ party, what to make, and even how to pull it all off, because for a summer BBQ you can really go all out. The first thing everyone needs to pull off an amazing summer backyard BBQ is a backyard. 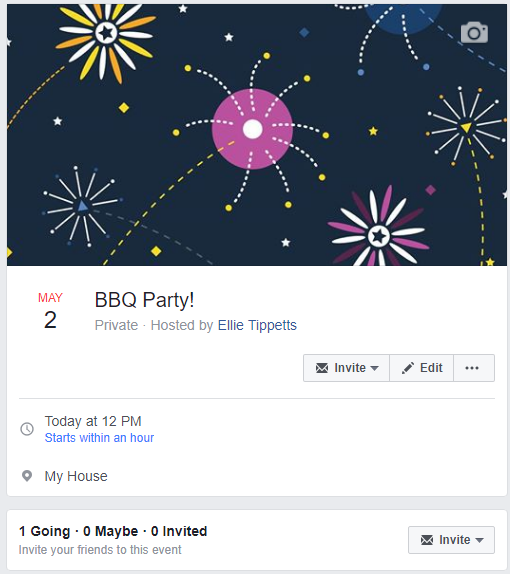 If you can’t host the party in your own backyard, we suggest contacting your relatives and neighbors. By coordinating with other people you can get help with the party’s execution, and perhaps split the cost. Make sure you choose a yard that has a relative amount of shade, space for both tables and activities, and easy entry. (If the backyard can only be accessed through a cluttered garage maybe reconsider.) If you find an excellent backyard but it’s missing one or other of the elements, consider renting tents to provide relief from that summer burn. The local pool – Look up your city pool to see if they have grills for public use. Then call and make a reservation if they allow you to do so. Let them know how many people you plan on bringing and on which day. If they don’t have grills inside the pool area, check nearby. Many pools are near parks and will have a grill nearby. Water parks – Similar to the local pool, many water parks will have grills. This accomplishes two things: a summer pool party and BBQ. Make your reservation and make sure you bring all the fixins’! If you decide to hold your BBQ at a water park, make sure you get a few people to chip in for the cost. Mountains or a natural park – Whichever state you live in you can probably find a semi-close National Park or mountain range. This is a fun idea because your guests can hike or explore the wilderness while waiting for the food! Again, give the parks center a heads up before just showing up with 50 people in tow. Do a little research about your chosen location to make sure all the pieces will fall into place. By choosing one of these alternatives you can really revamp your regular old BBQ cookout! These are BBQ staples, right? Well what if we told you that not only can you spice up these traditional dishes to really wow your guests, but you can also add in a few new items that they definitely won’t be expecting, but still fall into the BBQ category? Let us prove it to you. It’s time to reimagine the classic BBQ chicken or ribs. 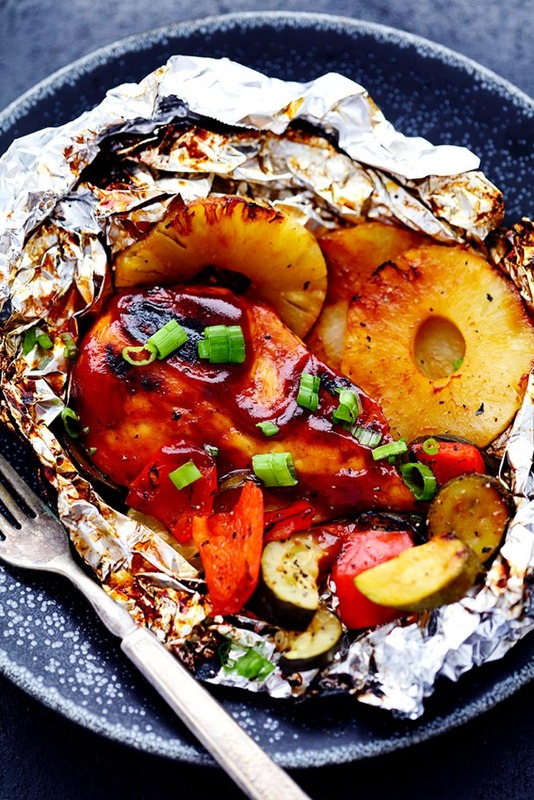 To add a little flare to your chicken, you can try The Recipe Critic’s Grilled Pineapple Chicken Foil! Not only does it keep the tradition of grilled BBQ chicken, it makes it like 10 times more delicious by adding pineapple. Just look at this thing. Now it’s time to re-imagine those ribs. Have you ever tried Sriracha ribs? Okay seriously check out this recipe by Chew Out Loud. Only mildly spicy, they’ll be sure to surprise your guests with that unexpected kick. 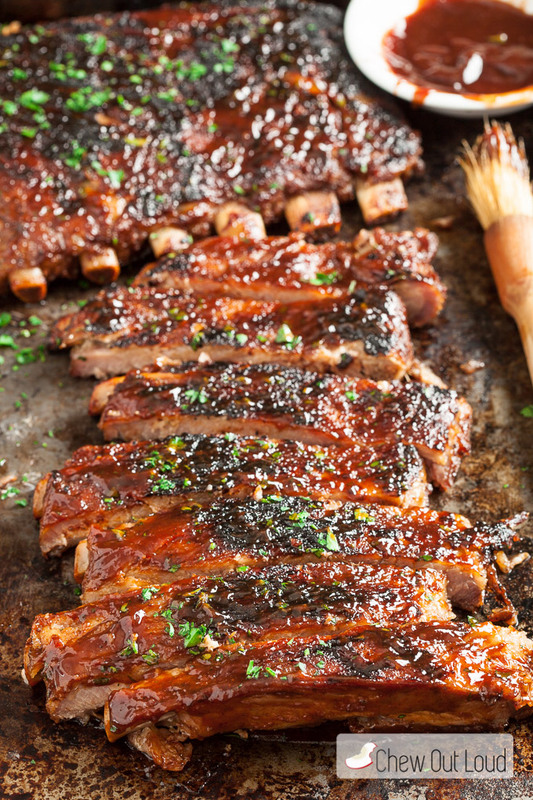 If you make these awesome ribs, we’d love to hear how it went for you on our Facebook page. Okay sorry that was a little aggressive, but we just really want you to branch out here and you can do that with this awesome burger alternative. 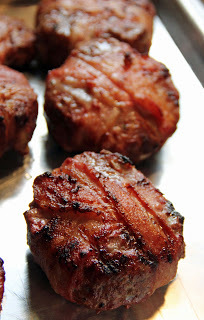 Listen, we’ll even kill two birds with one stone here, because this thing is wrapped in bacon! 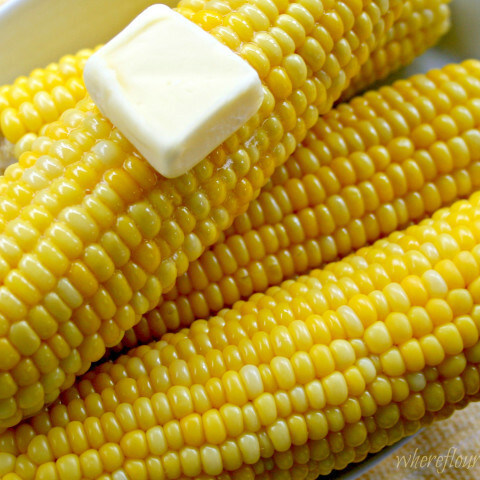 So the classic American corn on the cob looks like this, right? 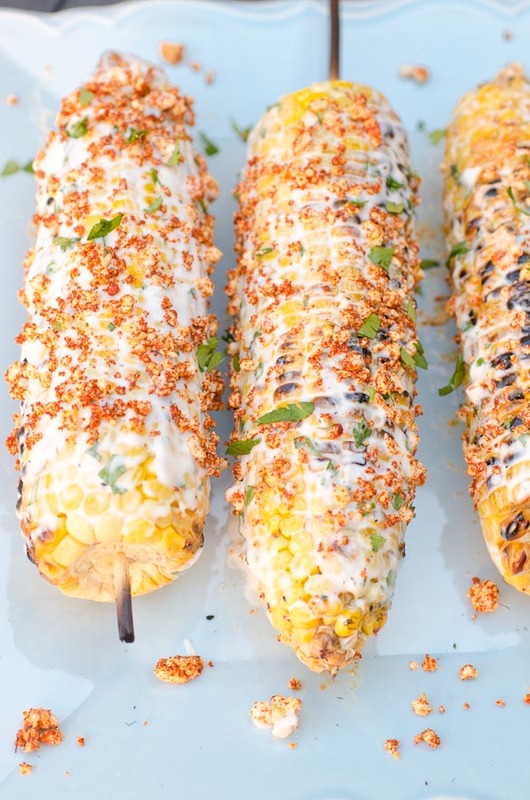 Seriously if you haven’t tried Mexican Street Corn you might have been doing it wrong your whole life. This tangy alternative is a classic to Mexico and isn’t difficult to achieve. Your guests will need extra napkins for this one! Alright so now you’ve got your staples: meat and corn. Now let’s dive into veggies, potato salad, and a few alternatives. Potato Salad – Revamp that classic potato salad with this Loaded Potato Salad from A Wicked Whisk. If you love loaded baked potatoes, your guests will love this loaded salad. Grilled Veggies – Put em’ on a stick. Seriously. This allows for ease of eating and also ease of cleanup. 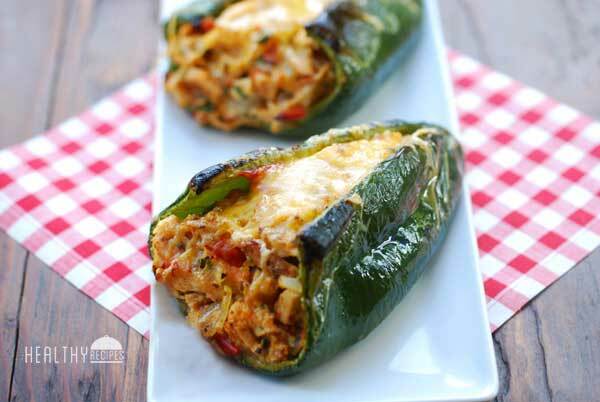 Stuffed Peppers – Stuffed peppers might seem like a lot of work, but don’t worry Healthy Recipes Blogs made it easy for you. This is a good alternative to people who aren’t about that burger life. Start on your regular Facebook feed. On the right-hand side you’ll see the list of your groups, shortcuts, and events. 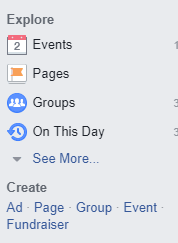 Click on events. 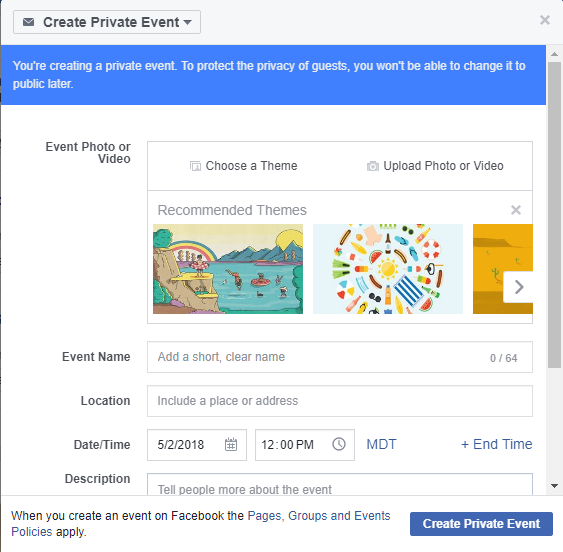 Click “Create Event” Make sure it’s set to “private”. Fill out your necessary information including an event name, a theme, a date & time, and a description. 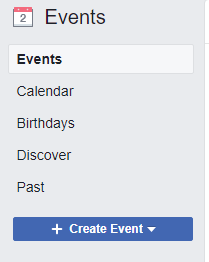 After you’ve clicked “Create Private Event” it will show you your new event. To invite people, click “Invite” under the header. Here is where you can edit, update, and invite more people! Now it’s time to create some games, activities, and create a music playlist. 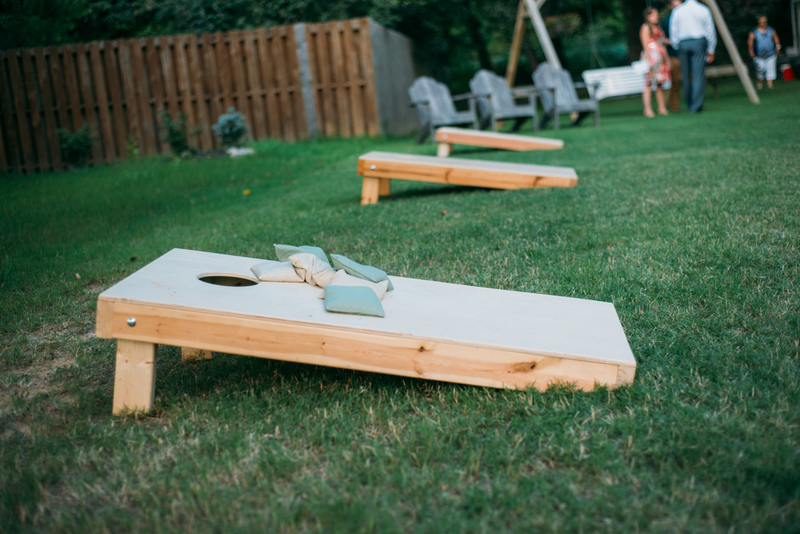 Visit Pinterest for fun summer games to play during your awesome BBQ, but make sure you’ve got space for them! Your playlist should be upbeat, clean, and not too particular to a specific genre. This way your guests won’t feel blindsided by a genre they hate. Make sure you’ve got loud enough speakers and that your chosen venue allows for music! Hey, that’s completely understandable. We want your event to go off without a hitch, and if you’re like us and you really go all out for every event, you might need help. Lucky for you All Out Event Rental offers every piece imaginable to help make your event perfect. We offer tents, catering tools, and all the extras! You can call us anytime at 800-638-9849, or you can contact us here. We can answer any questions you have, as well as provide you with further suggestions. We’re professional party planners, and we’re happy to let you take advantage of our expertise. Happy barbecuing!